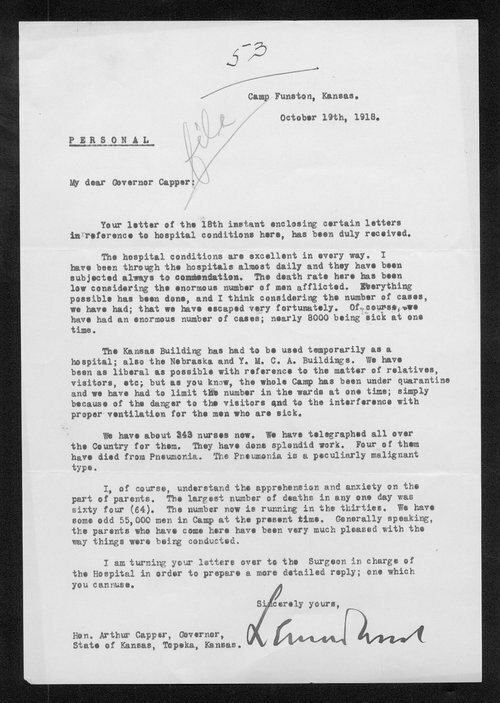 In this letter to Governor Capper, General Leonard Wood, Commander of Camp Funston, details the situation at Funston during the Influenza of 1918. Arguing that he and his medical staff were doing everything that they could under difficult circumstances, Wood nonetheless admits that "the highest number of deaths in one day was sixty four (64). The number now is running in the thirties."